Linc Foods, a small but growing local food co-op has taken a big step forward with their recent lease of space for their first distribution center. Linc offers foods from dozens of farmers and producers in Eastern Washington and provides them via a wholesale program to commercial enterprises and institutions and to the general public via a CSA ( community supported agriculture ) program. Because of the proximity of Linc Foods to the growers some of the produce is available for sale the same day it's picked! The company's new distribution center will be operational shortly after the first of the year in a 2,100 square foot facility at 3012 N. Nevada, just north of North Foothills Dr. .
A new office furniture store is now open near the Fairgrounds in Spokane Valley. The store which goes by the name Continuum Office Environments opened in Mid-December and now occupies the former Apollo Spa's store at 720 N. Fancher Rd . The store itself is a brand new business but it was founded by Israel Guerrero who has over 30 years in the industry. To start they'll have a small staff selling a hand picked selection of gently used and new office furniture with a showroom on site for local sales and the ability to ship merchandise from their store here to anywhere in the nation. Continuum Office Environments carries many new products from well known brands like Hon, Maverik , Steelcase and more. Products can be found in their store for most any kind of office space from the medical industry to government to really anyone. As of now they are open Mon-Fri 8:30a - 5p and are easy to find on Fancher just south of E. Broadway. Both of these new Downtown restaurants are new ventures of Jeremy & Kate Hansen, who are already well established in the growing Spokane culinary scene with their popular Sante' restaurant in the Liberty Building also Downtown and others. Hogwash Whiskey Den is actually already open and can be found in the basement of the historic Washington Cracker Building at 304 W. Pacific. As the name implies Hogwash Whiskey Den is a whiskey driven bar with many amazing craft cocktails and fine whiskeys. Hogwash does also have a medium sized food menu of mostly small bites and sandwiches but a few dessert items also. An exciting side note on the menu it mentions bacon and / or a fried egg can be added to any item on the menu, including the sweets! Above, Hogwash Whiskey Den will very soon be Inland Pacific Kitchen , this new more upscale restaurant will also be within the Washington Cracker Building and is currently undergoing a series of test kitchen events before officially opening. Inland Pacific Kitchen will push the envelope of dining for Spokane. They are described as a progressive , food minded, chef driven open kitchen. And, they may even have some guest chefs in the future! Inland Pacific Kitchen's menus will be based on world cultures, stories , seasons and all types of food that fully change about every four to eight weeks. Inland will also have a full liquor license for unique cocktails , wine and beers featured from around the world. We'll probably post more about both Inland Pacific Kitchen and Hogwash Whiskey Den in the future once they get going. In case you haven't heard Brooklyn Deli relocated recently just down the street to a newly renovated space on the ground floor of the Montvale Hotel . That left their former storefront empty, but looks like not for long. That's because a new locally owned and operated restaurant has already started renovating that space ( 122 S. Monroe #100 ) for their new restaurant. They are a BBQ establishment called Texas True BBQ which will be operated by a Texan who moved to Spokane to be closer to family. They'll be open from the lunch rush thru the late night crowd. Texas True BBQ should be opening sometime in January and we might post about them then too, also watch our Facebook page as we regularly share businesses posts. Sushi Sakai to come to Downtown Spokane? Looks like it! This however we know very little about yet and don't have a way to contact their management just yet. Sushi Sakai started sometime ago in Spokane Valley before moving to the Clementine Square building at Boone & Hamilton nearby Gonzaga's campus. Since then they have also re-opened a second location back in Spokane Valley at 11420 E. Sprague. This looks to be a third location in the works but due to it's proximity to the location on Boone it could be a move too. The information we have is that Sushi Sakai has filed for a liquor license for an address in the heart of Downtown Spokane only a couple of blocks away from both River Park Square and the STA Plaza at 818 W. Riverside. Which on the surface makes it appear like Sushi Sakai will be in the former Mackenzie River Pizza space, until you notice the suite number listed is on the third floor exactly where Goodale & Barbari's real estate office is? Time to get excited... The Viking is returning! Not technically Downtown Spokane but still close enough, The Viking a popular bar at 1221 N. Stevens is being renovated to be re-opened. We don't have the details on the re-opening other then they are shooting for a mid-February opening and will be mostly like the former Viking. But we hope to have more soon and keep an eye on our Facebook page as we intend to share their updates as well. Know of a new restaurant opening Downtown or really anywhere in Spokane? Try a new restaurant you want recognized on Inland Northwest Business Watch? Volunteers are standing by the answer your emails at inlandbusiness@yahoo.com your pledge... I mean tips are very important to us! The national fast food chains continue to increase the amount of locations they operate in our area. And, in addition to their local expansions a locally owned and operated retro burger joint is also nearing opening in Airway Heights. That business is the new Airway Heights location of Wolffy's Burgers at 12807 W. 14th Ave. There is no set opening date as of today but they have informed us that despite some delays in construction they will be opening very soon, perhaps in the week after Christmas. This will be Wolffy's second location in addition to the location on N. Hamilton nearby the Gonzaga University campus. This location will be a bit bigger then that one in fact and will have about 2200 square feet of space in a former Taco Time. Also in Airway Heights the Minneapolis based Dairy Queen chain has franchise restaurant under construction on W. US 2 . The site was a vacant lot immediately to the east of the O' Reilly Auto Parts store. The new Airway Heights Dairy Queen will be an 1,886 square foot restaurant with both dine in and drive though. The new restaurant will also follow their Grill & Chill concept meaning they serve both their ice cream / dessert items and burgers / sandwiches just like most of their stores. There is no set opening date for the new Dairy Queen but this date will likely be within the next couple of months as construction work has moved indoors and hiring has started with jobs posted on snagajob.com . In Spokane the first of two new Carl's Jr. locations just opened for business at 1230 N. Division in the University District. They are both franchise locations of CJ Star,LLC of Boise. This new Carl's Jr is a 2400 square foot restaurant with both dine in and drive though. Another Carl's Jr is also in the works on the Northwest side at 1617 W. Northwest Blvd. And, a growing favorite Sweeto Burrito is completing their most recent phase of new local locations. The chain of more unique burrito restaurants opened for the first time in our area at Spokane Valley, out front of the Broadway Wal Mart store. But, now Sweeto Burrito has added locations at 9602 N. Newport Hwy and 1839 N. Ruby , both of these are now open for business . They also are building a new Sweeto Burrito along Appleway in Coeur D' Alene and it is about open, already. We're always hearing news on new fast food restaurants, we're also hearing a new Starbucks is going into into the new renovating Target store by the intersection of Sprague and Evergreen in Spokane Valley. And, the Taco Time across from the Kennedy Apartments on N. Ruby will also become a new Starbucks. And, we expect more news soon so keep watching this site! Personally the Ciena offices / data center at 115 N. Sullivan Rd ( just north of the Sprague / Sullivan junction ) has always looked like more of a store location then it's actual use. But now Ciena has moved out, relocated to a new office space along Mirabeau Pkwy and the building on Sullivan is becoming a retail business more like the way it appears. The space is set to become a new larger location of Cost Less Carpet chain which operates stores in Washington , Oregon , Idaho and Montana. Cost Less Carpet is actually already open in Spokane Valley at 15310 E Marietta Suite 5/6 but that location is smaller and will close when this new store opens. The new Cost Less Carpet store will use the entire building meaning the store will have just under 30,000 square feet of space split between a retail sales area, offices and backroom areas. Currently the company plans to open in the new building around February. Cost Less Carpet is a full service flooring store with carpeting, hardwood flooring , laminate flooring and more in stock. The store will also sell counter tops with Granite, Quartz, tile and more available for sale. Their merchandise is already discounted and they beat any competitor's written price on identical products. * As of now, their original store location is remaining open despite it closing after the Sullivan Rd. store opens. Although Coeur d' Alene's Sunset Motors is out of business, it's building is remaining in the automotive industry. As this week the building, which stands at 320 W. Kathleen Ave. , re-opened after a interior remodel as a retail location of Advance Auto Parts. The store is a full service auto parts retailer who will employ 10 and serve both the public and company accounts . The company says they chose this site because of it's close proximity to several commercial garages, It also offers the company lots of exposure as the building and it's signage can be seen easily from both Kathleen Ave. and US 95. Advance Auto Parts is a Roanoke,VA based company and is the largest retailer of automotive replacement parts and accessories in the US . Chain wide they boast 5200 company owned stores and 1300 independently owned locations. 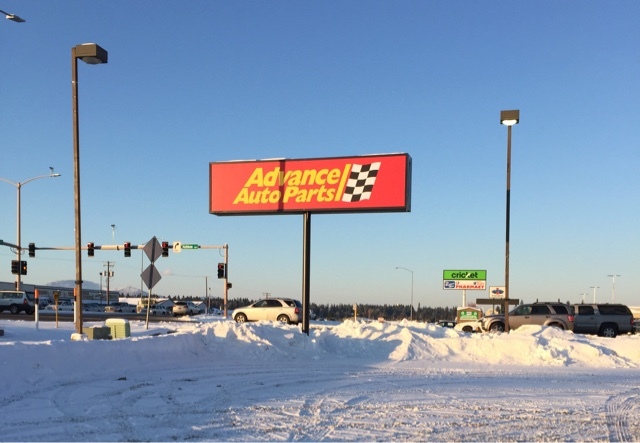 While this is the first location under the Advance Auto Parts branding to open in Coeur d' Alene, the chain is not new to the Inland Northwest. 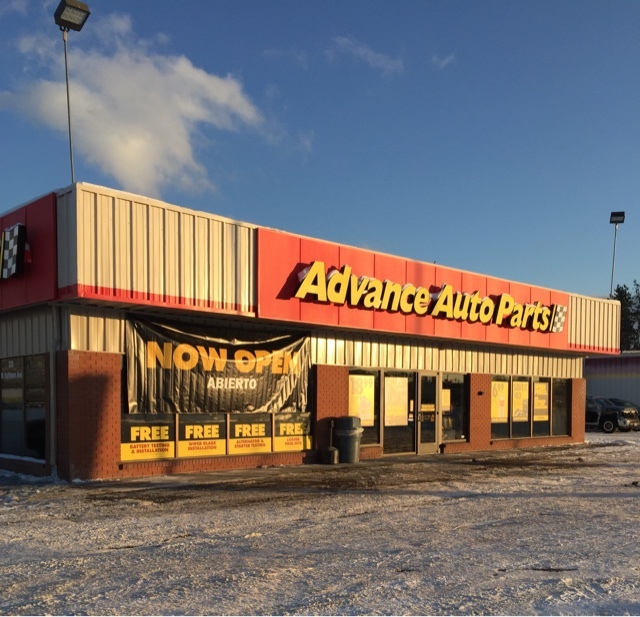 Advance Auto Parts is also open at 110 S Sherman St in Spokane and 110 S. Pines in Spokane Valley . The Spokane based Frontier Behavioral Health is growing will soon occupy a newly constructed building on E. Sprague in addition to it's other clinics around our area. A ground breaking ceremony was held for the new building just last week. The new Frontier center will house their intensive outpatient program which is currently in smaller quarters Downtown. The new Frontier Behavioral Health facility will be a 2 story, 15,000 square foot structure at 2128 E. Sprague and is positioned well with The Evergreen Club being next door as that club is a non profit that assists patents with mental health recovery. Frontier Behavioral Health provides a full range of mental health care services from psychiatric / psychological services, inpatient evaluation, elder services and more. Frontier will occupy the entire building but it's outpatient program will only occupy a portion of the building, the remainder will be yet to determined offices and program spaces. All of which will be completed around the end of 2017 and employ about 40. Most services offered by Frontier at it's other clinics will remain there also as this an expansion. A new locally owned and operated fitness center is in the works near the entrance to Downtown Spokane. And that new fitness center is a bit unique as business owners K. Jay Davis and Heather Davis will use obstacle training to get their customers fit and healthy. The new business will be called SCE Fitness and should open on New Years Eve. It will be located in about 14,000 square feet of space at the former CSL Plasma center at 104 W. 3rd Ave. , corner of 3rd and Browne. SCE Fitness will offer equipment that is similar to American Ninja Warrior and Spartan Races, both of which involve obstacle courses. The owner is experienced with the Spartan Race format and is even becoming a Spartan SGX coach, in addition to many other certifications like being a certified BioMechanics personal coach. Services will be offered in group classes , Spartan training and one on one personal training. With several awards under it's belt it's safe to say the Spokane based Dry Fly Distilling is a success. And, now just one year shy of their 10th anniversary in business they are expanding their local presence. Dry Fly is currently working on opening a new tasting room in a former coffee shop space at the Riverwalk complex, 1003 E. Trent. The new Dry Fly tasting room is in the same building as their production facility and will offer about 1,200 square feet of space for product tastings and even classes, the new space will likely also be made available for private event rental. It is to open for business sometime early next year. The distillery also just last month opened a new bar highlighting their products and other local alcohol vendors within the Spokane Arena. That venue is only open to ticketed guests of the Arena during events. It bears the Dry Fly name and signage but is being called the Locally Crafted Neighborhood. The new Dry Fly space inside the Spokane Arena features the whole line of Dry Fly Distilling's products in addition to beers from Iron Goat Brewing and wines from Townshend Cellars. A food menu is also available at the new space with that menu being provided from the Arena's food service vendor, Centerplate. Dry Fly Distilling also continues to grow it's product reach with items for sale in many liquor and grocery stores throughout the region. The company uses almost entirely locally sourced ingredients and distills their product in famous Christian Carl pot stills manufactured in Germany. They produce vodka, gin and even 11 different styles of whiskey. While my recent travels have me way behind on emails ( sorry you will get a reply just be patient ) , but in those emails people have been asking what is going in to the space that's in the same building as Video Only at 7701 N. Division in North Spokane. Will it be a new retail store? a new restaurant? the answer is no and no. The space is being remodeled by the Denver based healthcare company DaVita,Inc. for a new dialysis and kidney care clinic. The new DaVita clinic will replace a much smaller clinic the company already operates a short distance north in the Ironwood Center office building. This new DaVita dialysis clinic will be a little over 10,000 square feet with 16 treatment rooms and some other office space. The company will transfer over all of their existing 15 North Spokane employees to the new site. This location is just one of three clinic's owned by the company in the Spokane area with other locations remaining open and unaffected by this move. Their other locations are in a office building at 601 W. 5th Ave Downtown and at 12610 E. Mirabeau Pkwy. #100 in Spokane Valley. DaVita,Inc. operates over 2300 clinics in 12 countries including the United States, they claim over 200,000 customers have been served by the company in the US alone. They also employ 65,000 company wide and are continuing to grow. The company has even been listed on Fortune Magazine's World Most Admired Companies and was once named one of the " best places to work " by the Denver Business Journal ( although they we're likely referring to the corporate office ). Liberty Lake is going full steam ahead into new business and development. Comcast is getting settled into their new call center in the Meadowwood Technology Park. Also many, many new homes and condos are also on the rise in the small city's subdivisions including two entirely new developments. Those are Trutina, a large 55 and over community north of I-90 off of Harvard Rd which will include some rentals and a swim club building which in under construction now and the Villages at Stonehill on the city's eastern side which will likely even include a new commercial development as early as 2018. A franchised auto repair company which is coming along rapidly off of Appleway by the Huntwood factory. We have previously written about this, simply search the business name in the box in the upper left. Located along Mckenzie Ln. near I-90 and the new Telect factory is the second phase of building for the business park which leases small units to small business / manufacturing and warehousing companies. The new building is now under construction and is located directly across the street from the 1st building which is now almost entirely leased. Under construction now along E. Country Vista Blvd. nearby the Yoke's grocery store is another new large apartment complex which will have 258 apartments and a clubhouse / leasing office once completed.
" Country Vista retail building "
Given Liberty Lake's proximity to the Idaho border we figured it was only a matter of time till an I-502 marijuana business showed interest in building in the city. And while construction hasn't started yet a retailer with a location already open on Francis Ave in North Spokane has purchased a parcel on E. Appleway visible from I-90 for a future marijuana retail store, no word on when it might open and the project is still being discussed as it is controversial and will need approval. Another big tenant at Meadowwood Technology Campus? There is no name attached but we have uncovered some plans for another new office building in the campus off of Molter Rd. that Comcast and a couple other large employers call home. Given the nature of past development at Greenstone owned campus they usually don't build or consider moving forward before they have a company in mind for the space. Who it may be is completely unknown and to avoid scaring that company away I won't speculate but still I think we may have another big story at Meadowwood in the coming weeks or months. This may be the restaurant tenant of the new retail building I mentioned above or it might not as I'm still sorting out which lot which will be on . Either way this mini chain of hibachi grill style restaurant is confirmed to be planning a location in Liberty Lake nearby the Home Depot store. They are based out of Silverdale,Wa and are also currently developing a location down in Pullman. Currently we have emailed the company for more info and we are just waiting for more info. Some of these projects listed above will likely be put on this site in separate future posts so stay tuned! Donut Parade has closed for good!
" It is with deep sadness, we here at the Donut Parade are forced to say good bye Spokane, and thank you from the bottom of our hearts. We are officially CLOSED for good. " Just days after the announcement that Café Rio Mexican Grill was shutting down it's South Hill restaurant, news of second restaurant closure in the same development has come forward. This time it's actually right next door at Anthony's Beach Café who's last day of business will actually be tonight ( Dec. 2nd ) . Anthony's Beach Café was one of the original tenants of the Target anchored Regal Plaza shopping center. The Western Washington based chain of seafood restaurants operated this location under a newer business concept , a more fast casual take on their larger and fancier Anthony's Restaurants. It is also important to note that this is the only Anthony's location closing and their Anthony's at Spokane Falls in Downtown Spokane and the Anthony's in Coeur d' Alene's Riverstone development remain open for business. In fact employees of Anthony's Beach Café will be offered as many open positions at the other 2 restaurants as possible. Anthony's president and founder Budd Gould said " This was a very difficult decision to close the café " . He also admits their attempt to take their signature seafood to a casual restaurant off the water did not succeed, implying sales we're slow at the site. Open for only about a year and a half the South Hill location of the Café Rio Mexican Grill chain has closed. With little announcement the restaurant is already out of business with it's last day being last week on Tuesday. The restaurant was located in the Regal Plaza shopping center at 4911 S. Regal St. , where it was one of the first tenants of the new Target anchored plaza. This is actually the second Café Rio closure for Eastern Washington as the Wenatchee location closed early in November. The restaurant closure is due in part because sales we're slower then expected with another location just a few miles away in Spokane Valley, which also attracted some customers from other parts of Spokane. The Spokane Valley Café Rio location will remain open for business, just west of the Spokane Valley Mall at 13920 E. Indiana Ave. ( Evergreen Crossing Shopping Center ) . The chain is a Utah based company with 85 locations serving a menu of Mexican dishes inspired by the Rio Grande region of Northern Mexico. Burritos, enchilada's and much more are served with choice of meats and some fillings. Items are available to go or in the restaurant's indoor dining area. Another Café Rio in our area at Coeur d' Alene also appears to be staying open in the same building as Fred Meyer on Kathleen Ave.